Like many features of the 1858 “Greensward” plan for Central Park, the flower garden that was supposed to be built at 74th Street and Fifth Avenue never made it off the blueprint. 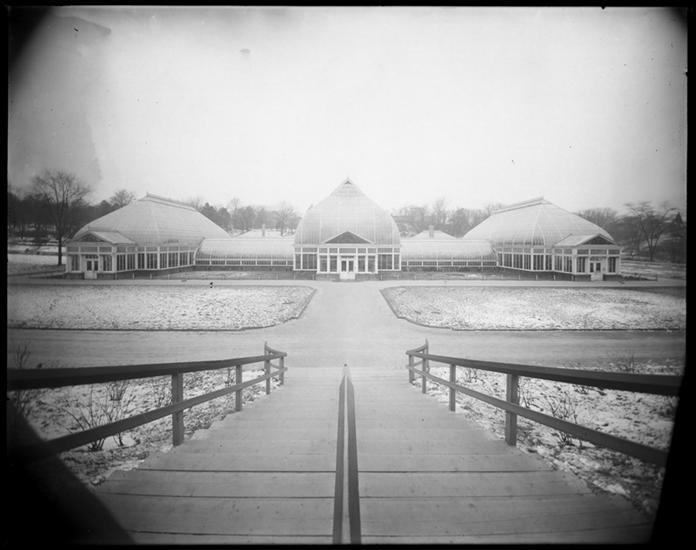 But in the 1930s, when the glass conservatory and greenhouses (below, in 1900) that were erected at Fifth Avenue and 105th proved too costly to maintain, parks director Robert Moses had them torn down—and plans for a European-style garden were drawn. 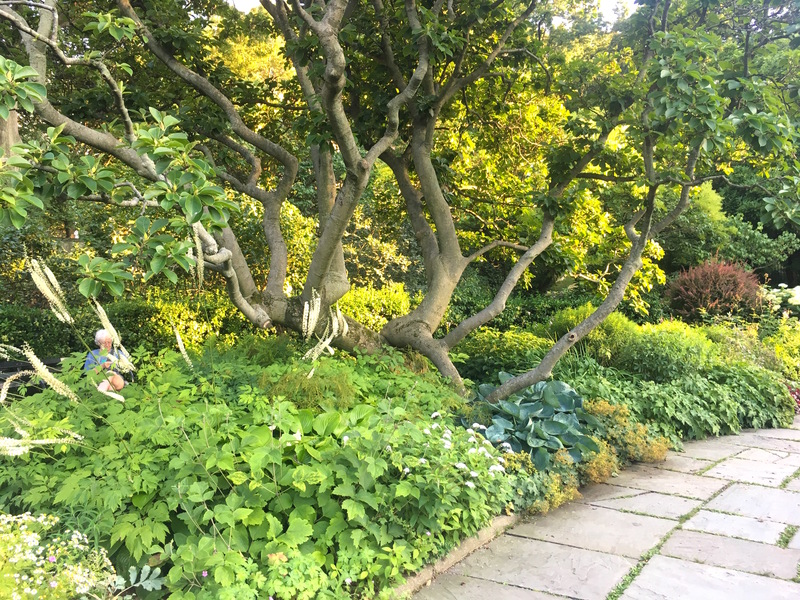 The result was the Conservatory Garden, which opened in 1937, a six-acre expanse of fountains, walkways, and lush and enchanting gardens in every direction. Stepping into it feels like walking into a secret, a hidden oasis where the only sounds are the chorus of singing birds and the occasional human gasp at the sight of a curious raccoon. 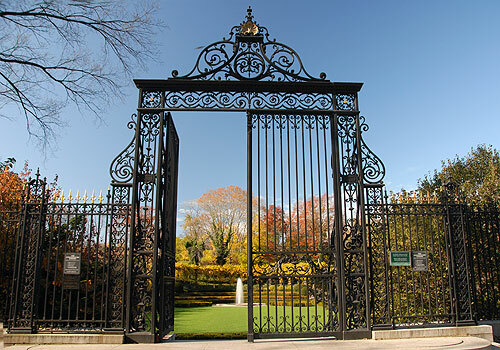 To get in, you pass through a cast-iron gate designed in France for the Vanderbilt mansion down Fifth Avenue on 58th Street; when the mansion was torn down, the Victorian-era gate ended up here. Past the gate is a rectangular landscaped lawn, and the garden splits into three distinct styles: one English, one French, and one Italian. Flowers in a kaleidoscope of colors greet you on the walking paths. 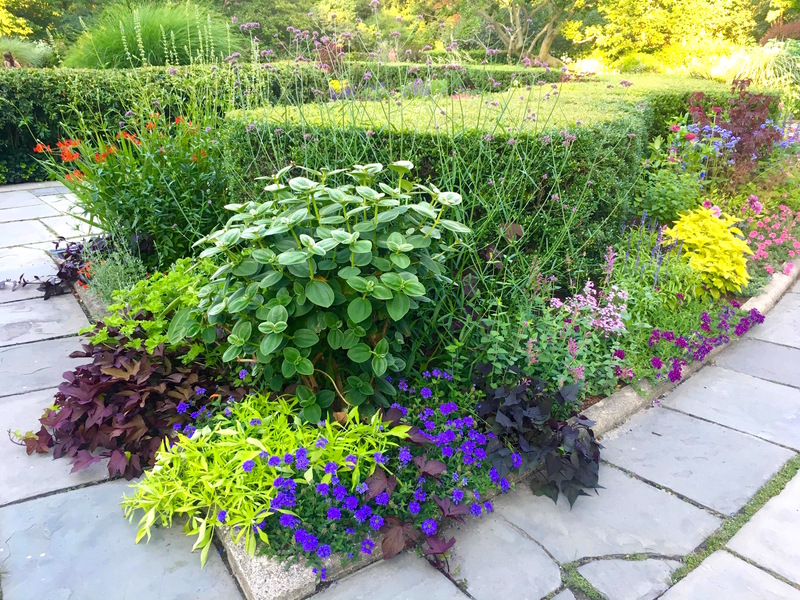 “Thousands of hardy perennials, leafy shrubs, clinging vines and countless varieties of red, yellow, blue, and purple flowers are planted in symmetrical designs,” wrote the New York Times on the garden’s dedication day. Two fountains in the park will trick you into thinking you’re in a time warp. 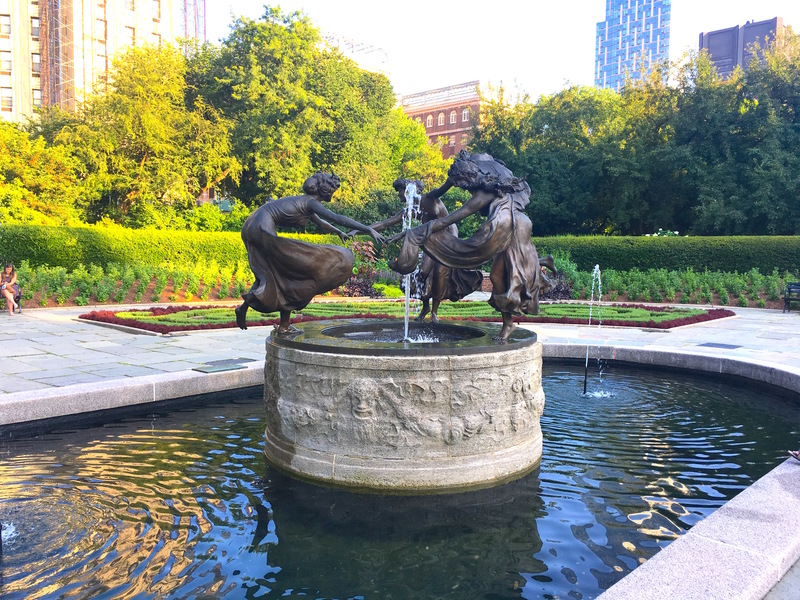 “Three Dancing Maidens” was designed in 1910 and presented to the Conservatory Garden in the 1940s. 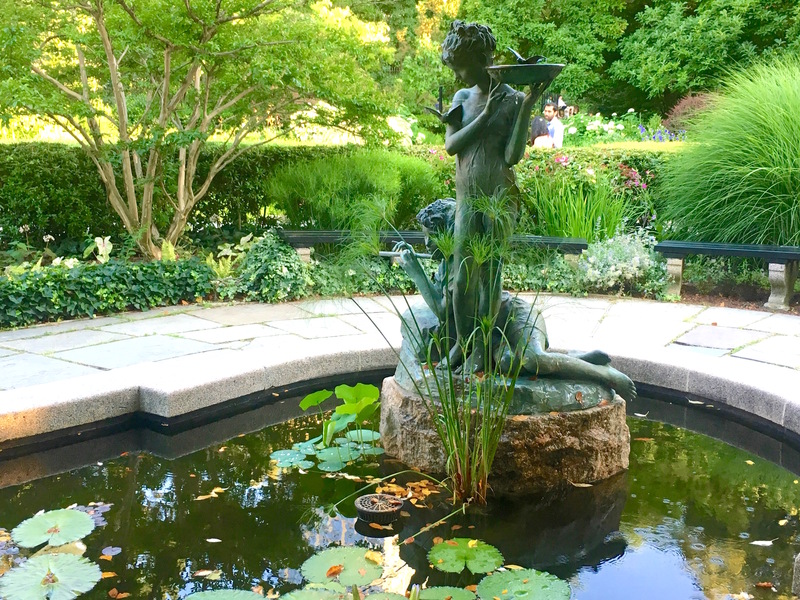 The Burnett Fountain of a bronze boy and girl surrounded by real water lilies under which koi goldfish swim is based on the characters in “The Secret Garden” by Frances Hodgson Burnett. Why it’s so sparsely visited is a mystery. Maybe it’s too far uptown, or the Lexington train is too long a walk; perhaps the Fifth Avenue entrance makes it difficult for people already in the park to stumble upon it and fall in love with its beauty. 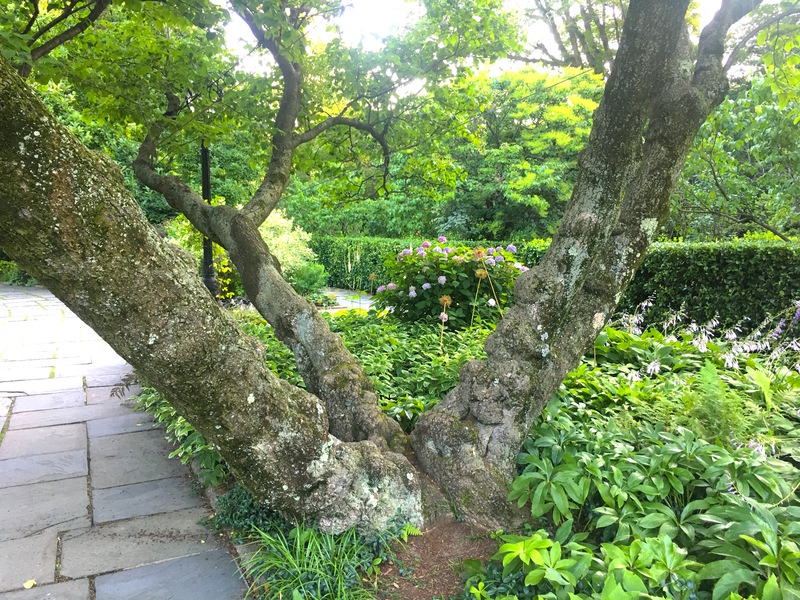 But for serenity, shade, and the scent of magnolias, or just to get lost in another world for a while, this is the loveliest spot in the city.